​We provide Non-Denominational Ministers, Non Religious Officiants, Christian Pastors, Priests, Rabbis Bilingual (Spanish), Themed Wedding and of course Elvis. ​Alan Katz IS the Presiding Officiant at Great Officiants. All the Officiants believe your ceremony should be a FUN and ROMANTIC adventure! 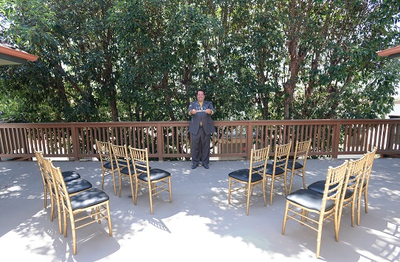 You can select one of their Award Winning Ministers, Non-Denominational Officiants, Catholic Priests, Rabbis, or Interfaith Officiants to perform your ceremony. They also offer Bilingual Officiants. Or you can choose between a religious, non-religious, or themed ceremony. No matter what type of ceremony you desire, they make it happen for all types of couples. 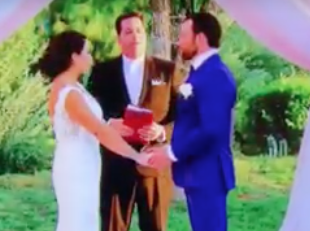 Great Officiants will travel to your wedding location or venue across Southern California. Do you need to obtain a Marriage License? Got yours here Instantly 24/7. Want a Beach Wedding? They provide the Full Setup, Decorations, Permits, Music and Officiant. Use their website as a comprehensive tool to help you design and customize your ceremony experience and give you a wedding that exceeds your expectations. Read their reviews and blogs, watch the videos, enjoy the ceremony samples. 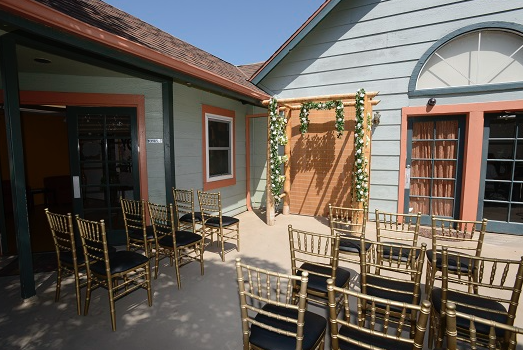 ​CUTE LITTLE WEDDING CHAPEL - Has 3 different areas you can choose for your nuptials. Want a Wedding Chapel? 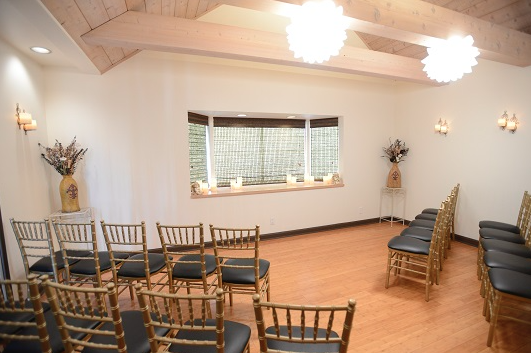 Great Officiants has their own 24/7 Wedding Chapel In Long Beach for an intimate ceremony for just the 2 of you or up to 30 friends and family. Would you like us to Instantly Marry You? We are open 24/7 in our Cute Little Chapel? Let's do it! EASTER SUNDAY 2017 WEDDING ON POINT DUME. 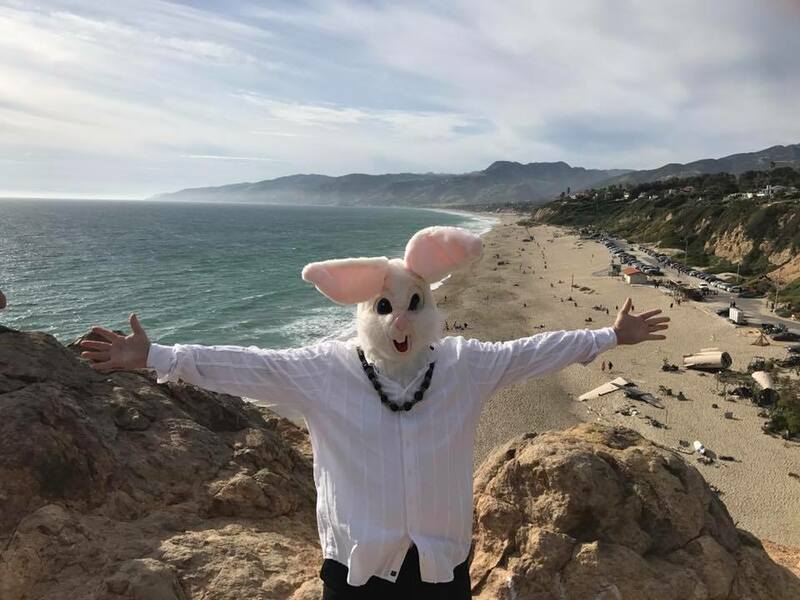 They hiked to the top of Point Dume State Park in Malibu for a beautiful wedding by Great Officiant ALAN KATZ (he performed the ceremony without the rabbit top). ​IMAGES of some of the weddings by Great Officiants including some photos of 'theme' weddings.